After a long weekend of visits, traveling and outdoor plans, we could all use some pampering time! Fizz and Bubble's bath and skincare products are perfect for an at-home pamper session. These are just some of their offerings! Let's take a look. Rainbow Sherbet Bath Salts | A soothing blend of salts such as dead sea salts, epsom salts, and white crystalline salts. 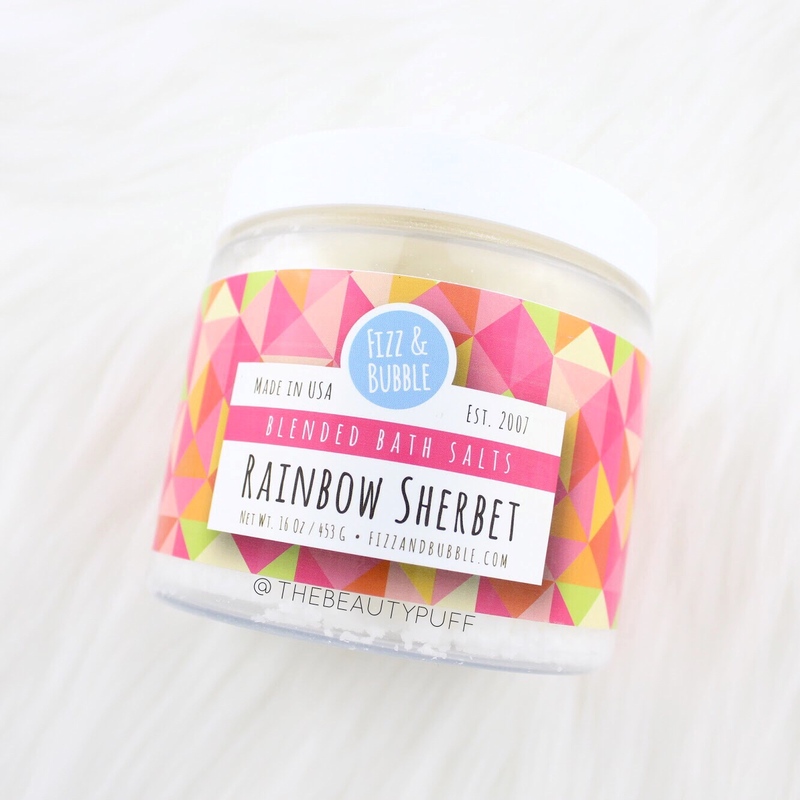 The Fizz and Bubble scents are so refreshing and I love the rainbow sherbet! Just fill your tub halfway, take about half of the jar of bath salts in your hand and allow the water to run as you pour them into the tub. Stir the water and enjoy! 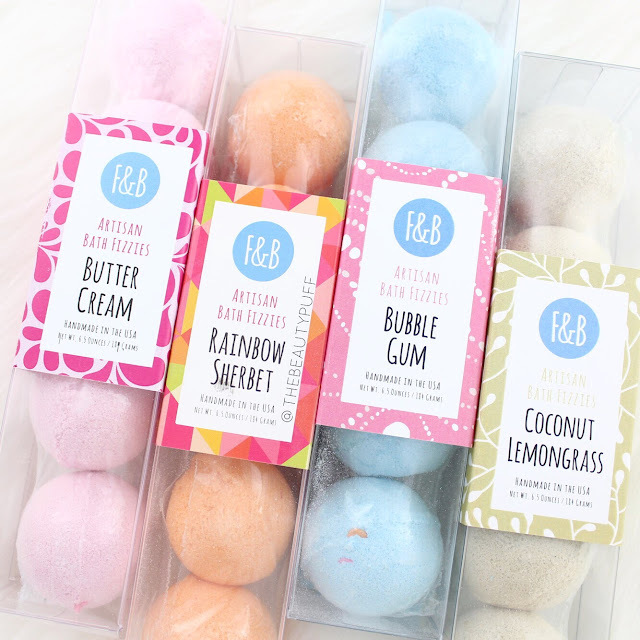 Mini Bath Fizzies | Ready for a calming, nourishing bath with ultra-moisturizing ingredients? 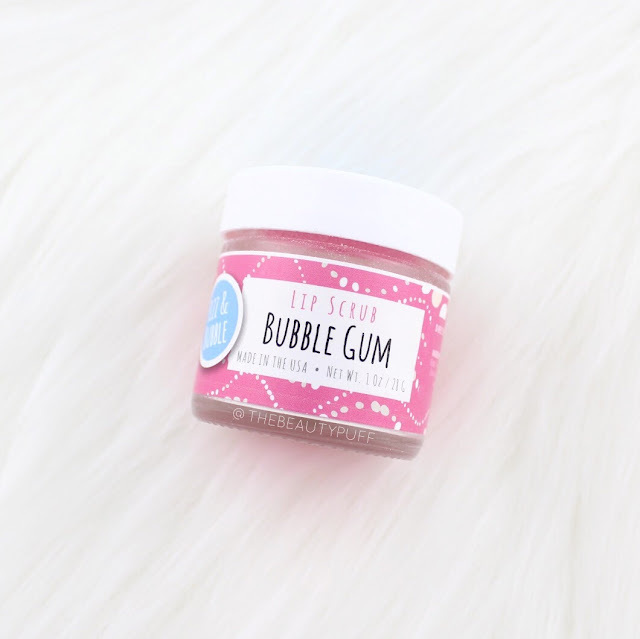 These fizzies come in packs of five and in a wide range of scents including Butter Cream, Rainbow Sherbet, Bubble Gum, and Coconut Lemongrass. Key ingredients include aloe vera, avocado, coconut, grapeseed, jojoba, olive, sunflower and sweet almond oil. These packs make great gifts and they're an easy way to enjoy and sample multiple scents from the Fizz and Bubble collection. Bath Fizzy Cupcakes | If you know someone who loves bath fizzies and need a special gift for them, the bath fizzy cupcakes are a great option! These bath fizzies come with a festive presentation all tied in a bow. 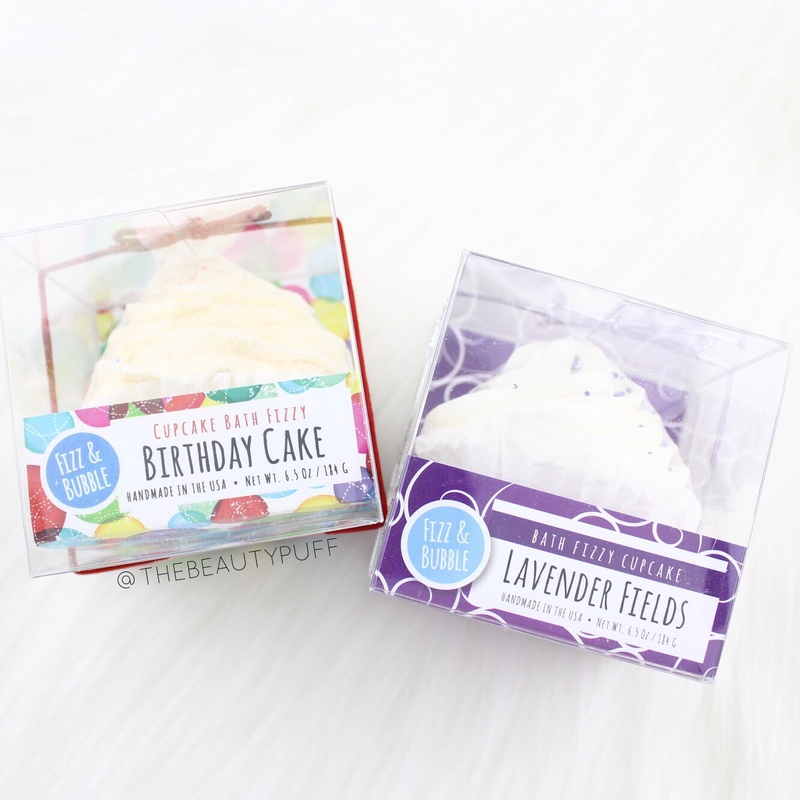 There are several varieties including Birthday Cake, Lavender Fields, Cotton Candy and Chocolate Fudge! Lip Scrub | Once you're pampered after a soothing bath, get your skin in shape with Fizz and Bubbles' lip scrub. This scrub comes in a sweet bubble gum scent and is made with hydrating shea butter, avocado oil and vitamin E. Just take a bit on your finger, rub gently on lips and rinse to reveal smoother, moisturized lips. Just in time for the cooler months! You can find Fizz and Bubble products on their website and below on Ulta.com!